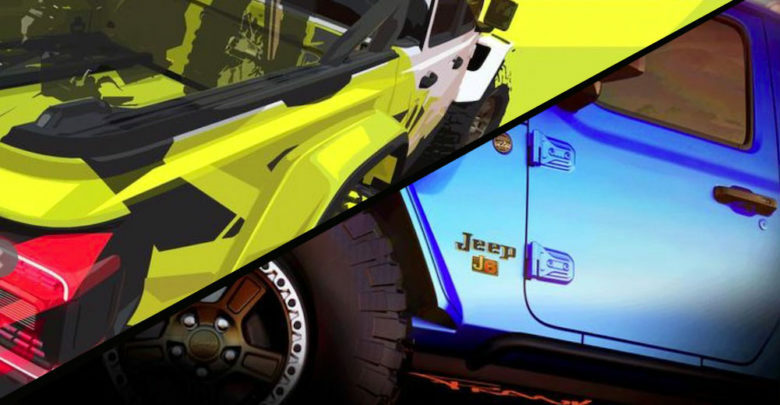 FCA has released images teasing the Gladiator concepts which will debut at the 2019 Easter Jeep Safari being held April 13-21 in Moab, Utah. The blue concept with the J6 badging may be a teaser for a short cab Gladiator. The original J6 was an extended wheelbase CJ with a short bed (see photo inside). There’s also clearly no rear door on this concept.